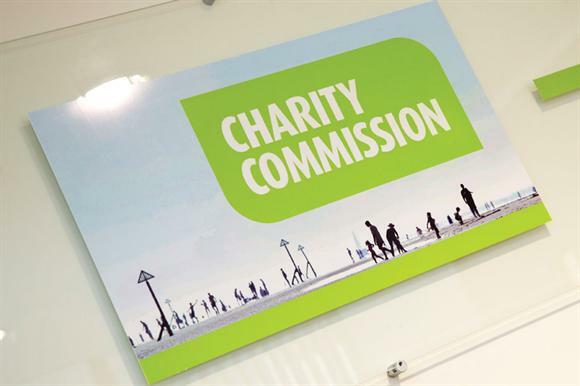 The Charity Commission has made good early progress in addressing criticisms of its performance, but much hard work and significant challenges lie ahead, according to the National Audit Office. The NAO, which scrutinises public spending, has today published its follow-up to its December 2013 report, in which it said the commission was failing in its key roles and not providing value for money. Today’s report says that the commission is making better use of data, making more use of its powers, including opening more statutory inquiries, and mostly achieving its targets for the time it takes to process applications for charitable status. It notes the initiation in August 2014 of the commission’s three-year transformation programme, the commission’s appointment in June 2014 of a new chief executive, the creation of a "credible high-level business model" involving the automation of low-risk cases, the greater resources to be focused on high-risk issues and its new statement of regulatory approach, agreed by the board in February. But it points out that the statement does not say what the commission will no longer do, or what it will do less of. "Consequently, there is a risk that the public and the sector still expect more from the commission than it can provide," it says. The commission has been piloting a new model for assessing the risk of abuse, the report says – it has four levels of risk and will replace an existing framework created in 2011. The results of the pilot will be presented to the board this month, the report says. "Some challenges remain: when we reviewed the pilot, the team were still experimenting with the weightings given to the different factors used to generate each charity’s risk rating," the report says. It says the commission has also responded to the previous NAO report, which criticised the commission for not always checking up on whether trustees had taken the actions they assured the regulator had been acted upon, although the NAO says further improvement in this area is needed. The NAO notes a higher level of involvement in the commission’s transformation programme by its board than would normally be the case, an arrangement that has recently been renewed by ministerial consent. The NAO says this can be justified, but warns there is "a risk that the board’s continuing involvement in executive matters for an extended period could limit its independence and ability to hold the executive to account effectively". The report does not make any comment on the need for the new powers for the commission proposed by the draft Protection of Charities Bill. But the NAO director who led the 2013 report told the committee that is scrutinising the bill that the proposed powers covered the issues the NAO had identified. Amyas Morse, head of the NAO, highlighted two key recommendations from the report: "There is still much to do. This includes building on its positive first steps to regulate more actively, as well as developing a better understanding of its future costs and the resources it needs from HM Treasury. "Furthermore, the commission needs to show stakeholders how its new approach is enabling it to regulate the sector more effectively, and to make clear what the sector and the public can expect from it." Margaret Hodge, chair of the Commons Public Accounts Committee, said that she was pleased the commission had began to implement her committee’s recommendations, but it still had a long way to go before it proved it was fit for purpose. "It still doesn’t know where best to direct its resources because it has not worked out the cost-effectiveness of its different activities," she said. William Shawcross, chair of the regulator, said the report was "a vote of confidence in the commission and our staff". He said: "The NAO’s findings will spur us on to maintain the momentum of change. We have much hard work ahead of us and we are not complacent about the effort and the skills that are still needed to achieve our goals."